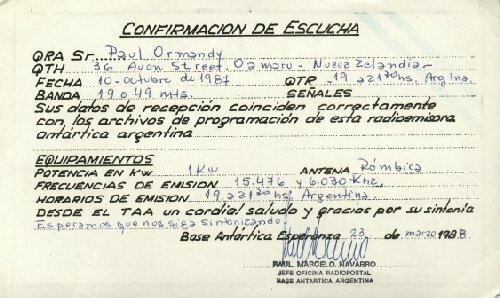 Hope was renewed when an Argentine DXer reported reception on 11955 & 15476kHz in March 1981. 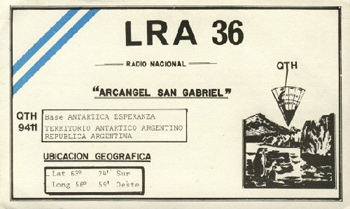 Again frequent monitoring brought nothing until an unexpected Christmas present arrived for Steven Greenyer in Invercargill when he found LRA36 Radio Nacional Arcangel San Gabriel on 15476kHz hearing the station from 2300 till 0105z sign-off. The following day, Bryan Clark in Auckland also noted the station. Reception was a musical variety program characterized by long deep fades, just as it is today. This 19mb channel provided a much improved reception path over its 49 mb counterpart. In mid-1982 the frequency changed slightly to 15474kHz and it was heard here in October closing at 0030z. And the station was a terrific QSLer, also providing back-ground material. 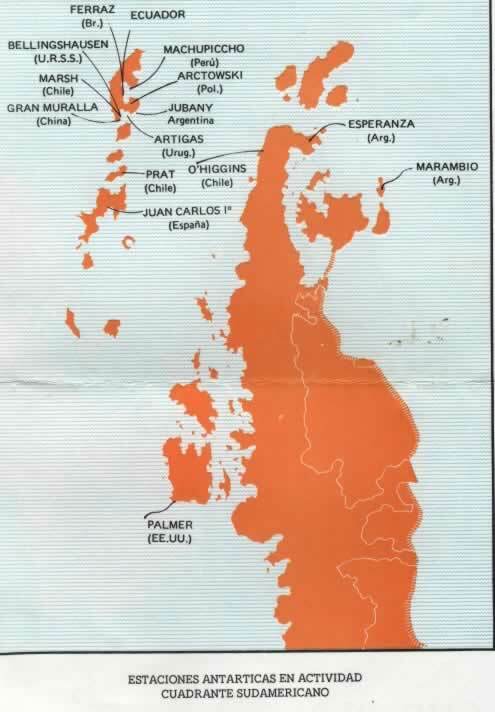 Radio Nacional continued to provide sporadic reception for New Zealand DXers over the next 20 years, the irregularity caused by long periods of inactivity and poor reception conditions. At times they switched back to 6030kHz. High levels of solar activity in the early-mid 80’s did not help with intense auroras completely wiping out listening chances. Reception kicked in again in the late 80’s with frequent loggings, some at amazingly good levels. Africa No. 1 from Gabon was using 15475kHz and a heterodyne indicated the presence of LRA36. Gabon closed at 1930z and reception was possible till LRA36, by now back on 15476, signed off anytime after 2100z. In April 1991, the transmitter was inoperational and wating on a new transmitter. The latter was activated on 18th of November 1991 and operated between 21 – 2300 UTC. Transmissions continued to be erratic though loggings in New Zealand were reported in January 1994 and July 1996. Chances of reception were further boosted in March 1999 with the installation of a new 10kW transmitter and an 1800 – 2100 UTC schedule. Again, broadcasting was planned for 6030kHz as well as 15476 and 11955kHz… nothing ever made it through on the latter. Reception in 1999 was fairly regular and there were even some announcements in English. Though now in 2000, we’re suffering heavy solar activity and more auroras so hearing LRA36 has been very difficult.